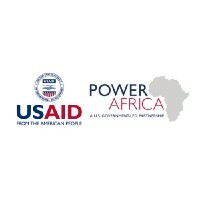 US #PowerAfrica Coordinator at @USAID. Facilitating private investment to bring cleaner #energy & #electricity to millions across #Africa. MCC — the Millennium Challenge Corporation — is an innovative & independent U.S. Government agency reducing global poverty through economic growth. Administrator of @USAID. Our development efforts advance American interests by promoting global security, prosperity and self-reliance. Sahar Kalifa is a Senior Communications Advisor @USAID's Bureau for Legislative and Public Affairs. Creating Pathways to Prosperity for Underserved Communities in #Africa by investing in #Africans and their ideas. Thanks for following us!